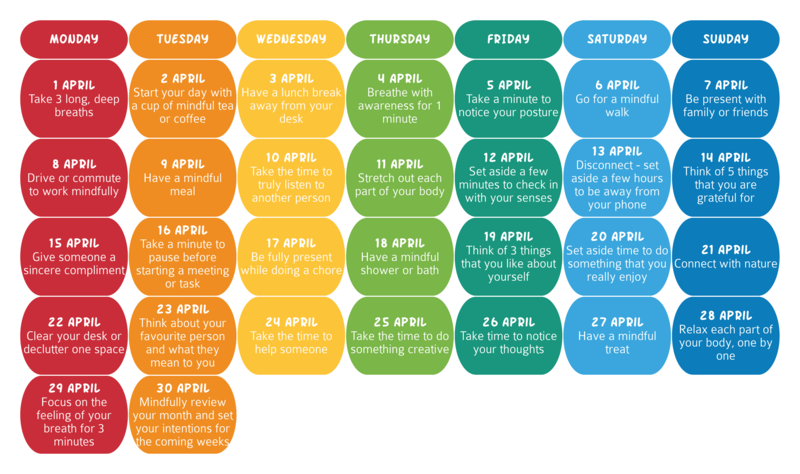 Take the Mindful Month Challenge and integrate mindfulness into your life this April. There is a challenge available for every day – 30 challenges in total. The challenges are short, simple, and easy to complete. If you would like to receive daily emails with the challenge for the day, email us at helene@mindfulrevolution.io and we’ll set you up. This is absolutely fantastic! Thanks for sharing Mark!